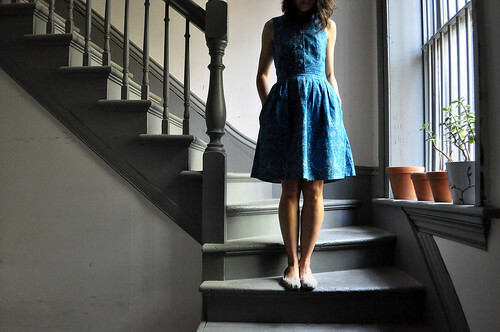 This dress was made earlier this summer when Lizzy House was in town. Lizzy was here for ten glorious days teaching classes at the workroom, plus living and working at The Sewing Factory. Lizzy explains The Sewing Factory perfectly here. Basically, The Sewing Factory is a team of three comprised of Katherine, Lizzy and I. It’s what we love to do best, which is to be together and sew everything we can. You can see all our adventures together in photos here. You’ve seen this Simplicity pattern before in many versions. This won’t be the last, it’s just too good. 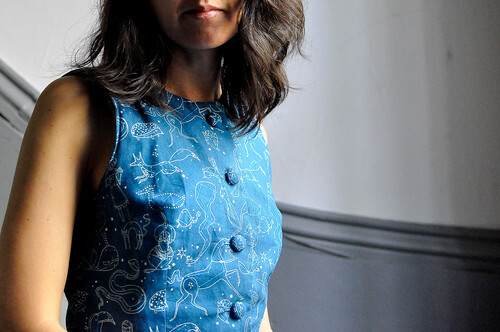 I knew I needed to have a Constellations dress using this pattern since it’s my idea of a perfect dress and Constellations is my idea of a perfect fabric line. And I got to fussy cut some adorable fabric covered buttons for it! This dress is a dream. And it’s blue. 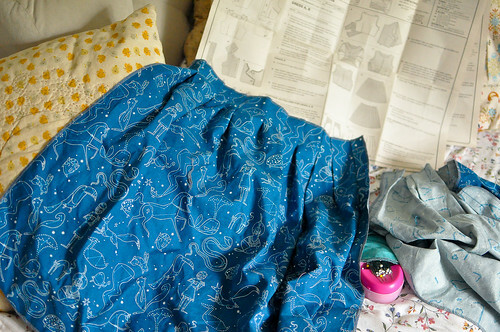 I’ve made a lot of blue clothes this summer. You’re about to see them come your way as I’m photographing them slowly. Speaking of blue. I just got some Chambray for a skirt. 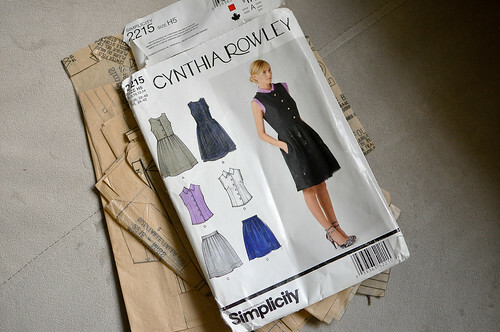 It will probably be made with this Simplicity pattern. To add to the 2215 collection that I’m creating. I think Chambray is the fabric of the season. I am falling in love with it for clothing projects and I love that it’s coming out in other colours besides blue. We just got some Chambray at the shop yesterday and we’ve got even more on order for the fall! I also wanted to introduce you to Ashley! I had the pleasure of meeting Ashley in person this summer, when she visited the workroom. She was sweet enough to drop by to meet me at the shop while she passed through town, as she is all the way from California. She has been sewing up a storm of beautiful clothes that has got me inspired these days and I think you’ll love them too. Gorgeous and that shade of blue is perfect. Indeed, as per Tilly, you never, ever disappoint. This dress is a triumph! Oh i’m working on 2215 now! I’ve seen so many lovely versions (yours included now) that surely mine will turn out nice too! I am obsessed with this pattern, too, and have always loved your different versions. This fabric is so pretty. 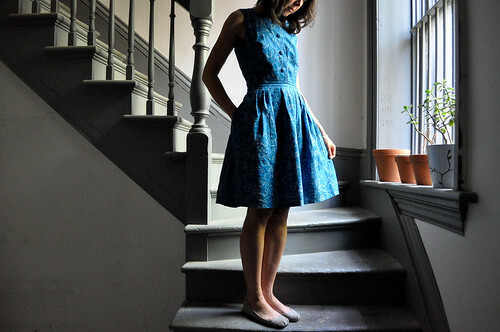 I’ve only ever made the skirt, but want to get around to the dress. Long Live S2215! Gosh this is just beautiful. Your choice of fabric and colour is just perfect with the pattern. Am soooo impressed! I love your versions of this pattern! I tried making the skirt myself and it just didn’t look good at all on me, but I love it so much on you! you’ve made some great stuff with this pattern! can you tell me what size you’ve been using? i tried and mine turned out waaaay too large. thanks!